The civil war in Nepal had a devastating impact on traditional life in the remote Humla District of Nepal. Most profound was the destruction of the shaman temples in the villages. The native Humli people believe that when the temples were destroyed, the “body” of the spirits that protected the health and prosperity of the people and land left them. Without a physical temple to contain the spirits, they feel they cannot attract the spirits to provide a sustainable life for themselves. 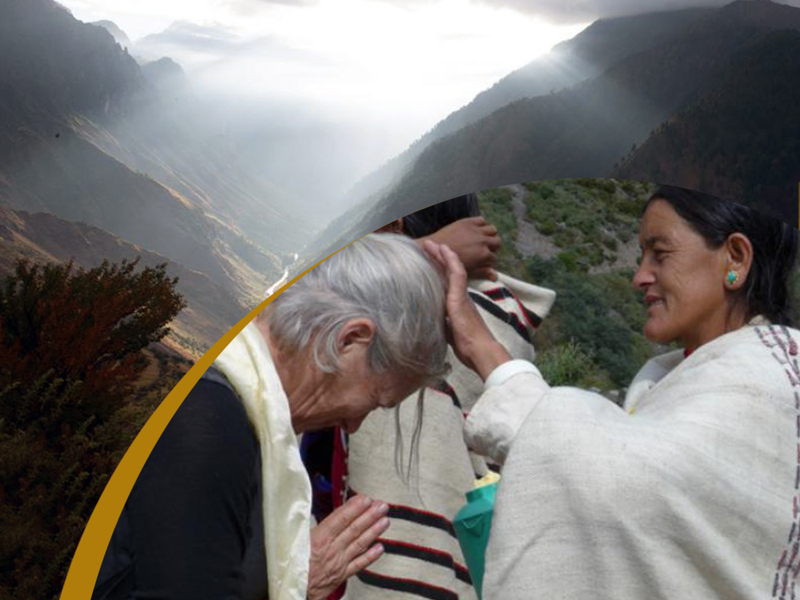 Humla Fund aims to help rebuild the shaman temples in order to strengthen the Indigenous ways of stewarding the earth, celebrating the cycles of the seasons, healing physical health, and healing the collective trauma of having witnessed their sacred temples destroyed. As each temple is rebuilt, so is the tradition and cultural identity. Before some the shaman temples were rebuilt, for example, many of the village children had not experienced their native healing traditions. Restoration of the temples ensures that younger generations will continue this way of life into future generations.